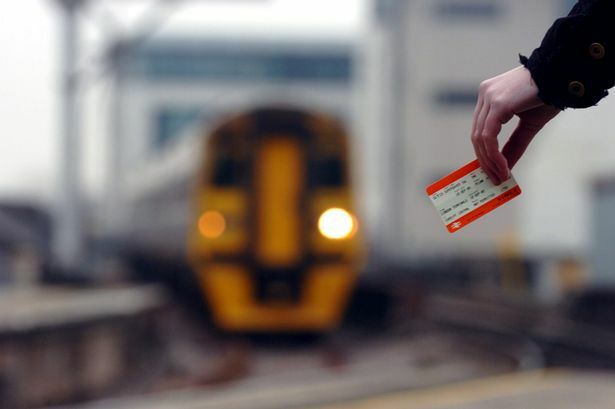 Expensive peak-time rail fares from Surrey stations into Waterloo are ‘priced on demand’, according to a senior figure at South West Trains. Phil Dominey, stakeholder manager at the train operator, made the comments while addressing the Elmbridge Borough Council overview and scrutiny committee at the Civic Centre in Esher on Wednesday evening. Dominic Raab, MP for Esher and Walton, had suggested SWT treats commuters like ‘cash cows’ when he raised the issue in parliament at the end of October. He mentioned the ‘steadily increasing overcrowding’ on peak-time trains from Woking to Waterloo. At the committee meeting on Wednesday Mr Dominey admitted there is always work to be done in terms of passenger numbers. Mr Dominey stated a commitment by the rail company to increase capacity by 2019, and set out longer-term plans for 2043. Earlier in the evening Mr Dominey presented councillors with a breakdown of ongoing and proposed developments at key stations in the borough. At Walton he emphasized the importance placed on expanding the capacity to store bicycles. He said: “The station is very highly used by cyclists and we are committed to cycling, and if you can improve storage then it can stop people putting them on trains. “At Woking we built a 216 -bike space facility. Although unsure of the exact cost of such a scheme, Mr Dominey estimated it at £170,000 to £200,000, funded in partnership with a third-party. And there are further improvements planned. He hopes more stations will have lifts and that by 2019-20 all trains will be disability-friendly. Councillor Ian Donaldson mentioned an issue affecting Walton and Weybridge. Mr Dominey said this could be a forecourt issue, which SWT will review.